As African Americans moved into the urban centers and established their own churches early in the 20th center, new gospel music developed written by African-Americans. The entire congregation became involved in the singing of this music which was often spontaneous and improvisation was expected, bringing to the hymn the sense of the holy. The major themes of the music were trust, Jesus will save/guide us, do your part, keep right with God, and eternal joy with God. Heart heavy laden with a bowed down head. Doris Akers (1923-1995) wrote the words of “Lord, Don’t Move the Mountain” which expresses the conviction that God does not give one an easy life, but “God does give one the strength to deal with whatever happens. Using the metaphor of a mount, Ms. Akers asks for strength to climb the mountain and to do what she can to help herself. In the second stanza she asks God to lead her foes to give their hearts to God. Mahalia Jackson (1911-1972) wrote the music for this hymn. She was a well-known singer of gospel songs, even receiving a Grammy Award. Think about other images that could be used for the mountain as you read/sing this hymn. “The way may not be easy. You didn’t say that it would be. I tend to stray from thee. Lord, don’t move this mountain, but give me strength to climb it. 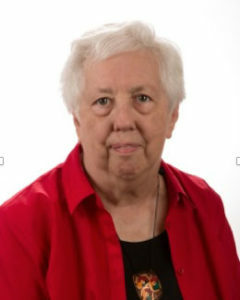 Margaret P. Douroux (b. 1941) writes of the importance of receiving a clean heart and following Jesus in her hymn “Give Me a Clean Heart”. She says that a “right relationship with God” is more important the riches, mood swings, or prestige. This hymn is really a prayer for a life that is fit to follow and serve Jesus. The hymn is based on Psalm 51:10. Ms. Douroux is a writer, composer, publisher, and the retired minister of music at several Baptist churches in Los Angeles. fix my heart so that I may be used by Thee. For I’m not worthy of all these blessings. Remember that the African-American experience began in slavery in this country. It was often the music that sustained and nurtured the spirit of the slave. It is still the music of the black church that gives healing, courage and comfort to the believer and to the broader secular audience. Note: Excerpted from “Sing the Wondrous Love of Jesus” by Joyce D. Sohl, 2006.